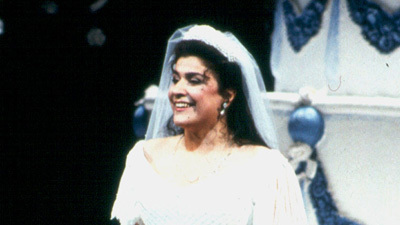 American mezzo-soprano Jennifer Larmore gives a dazzling performance as Angelina—better known as Cenerentola, or Cinderella—the girl who captures the heart of the Prince, Don Ramiro, sung elegantly by tenor Ramón Vargas. 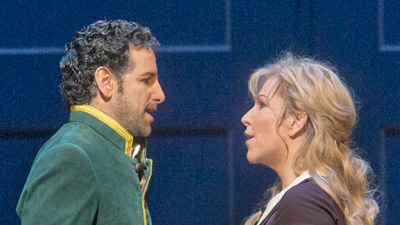 Rossini’s masterful retelling of one of the world’s most beloved fairy tales also stars Alessandro Corbelli is Dandini, the Prince’s trusted valet, Simone Alaimo as the hapless Don Magnifico, Angelina’s father, and Michele Pertusi is Alidoro, the wise philosopher who plays fairy godfather. Music Director James Levine brings out all the sparkle, color, and lyricism of the classic bel canto score.